Do you own a classic or vintage vehicle? Is the engine in need of some TLC? Have you been looking for a reliable, local engine re-conditioning company who specialise in the reconditioning of vintage and classic engines? Then look no further! T&L Engineering specialize in repairing and refurbishing vintage and classic engines including motorcycles. Refurbishment of modern, vintage and classic engines. Specialists in cylinder head repairs as well as re-skimming and rebuilding. We offer a full dynamic crankshaft balancing service. 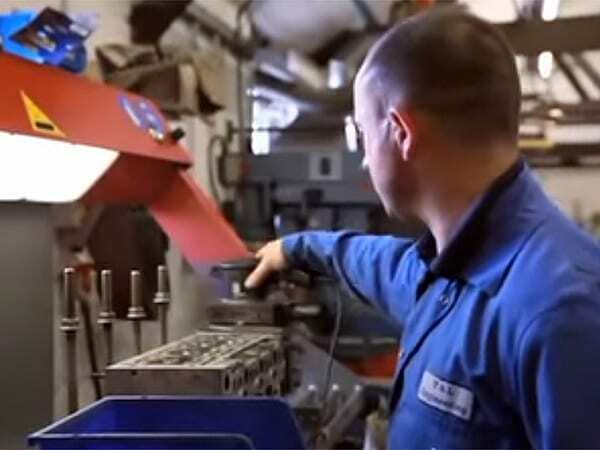 A full range of exhaust services, including manifold repairs. T&L Engineering is a small family business operating out of Elstow in Bedfordshire about 2 miles from Bedford. Following a fire in 2002, when everything was destroyed on our previous site, we have risen like a phoenix from the ashes, having had to relocate and rebuild the company back up from scratch. A full range of petrol and diesel reconditioned engines. Air conditioning pump units for most vehicles. Refurbished cylinder heads for various types of engine. Fully reconditioned gearboxes for cars and motorcycles. Stripped and rebuilt turbochargers for a variety of vehicles. Common rail diesel pumps for a variety of engines. Although a vast majority of the work that we do is cylinder head work, usual engine work such as crankshaft grinding, re-boring and sleeving still plays a vital role in the company’s services offered. We can cater for most engines from a 1898 panard to a 1930 v12 Rolls Royce being among some of our engines reconditioned in the past. If you have a vintage or classic engine that is need of rebuild, contact one of our experienced specialists today to find out more. T&L Engineering offered a quick and friendly service and helped calm any fears I had for my first scooter engine rebuild with their expert advice. Looking for a reliable, local engine re-conditioning company? If you have a vintage or classic car or motorcycle engine that is need of rebuild, contact one of our experienced specialists today to find out more. Our friendly team are always on hand and more than happy to help.